On the order of Lord Caitanya Rupa Goswami came back to Vrindavan and along with Sanatana Goswami started fulfilling the instructions of Lord Caitanya. Although what Rupa Goswami had accomplished was inconceivable, he was feeling some emptiness in his heart. Lord Caitanya wanted him to find the deity of Govindadev but inspite of all efforts Rupa Goswami could not find the deity. One day while he was sitting on the bank of river Yamuna, a young beautiful Brajavasi boy approached him and asked him why he was morose. Rupa Goswami explained everything and the little boy told him that he can find the deity of Govindadev on Goma tila. The boy said, “A Surabhi cow comes to Goma tila every day and let’s down large quantities of milk without any one milking her straight into the ground. That is the place where you will find Govindadev.” The little boy took Rupa Goswami with Him and showed the cow letting down large quantities of milk. Suddenly the boy disappeared and Rupa Goswami could understand that Krishna had personally come to give him directions. Rupa Goswami went and informed the local Brajvasis who then began to excavate that place. Lord Balrama spoke in the form of an invisible voice and told them exactly where to dig and very soon they found the beautiful deity of Govindadev. Rupa Goswami installed Govindadev and began to worship Him. Raghunath Bhatta Goswami was the son of Tapan Mishra. As a little boy he served Lord Caitanya with great love and devotion. He went to Puri and performed menial services and Lord Caitanya asked him to return to Varanasi. He told him to not get married, serve his parents and study Srimad Bhagavatam under the guidance of a pure Vaishnava. After his parents passed away he went to Puri to be with the Lord. He stayed with the Lord for 8 months and then the Lord sent him to Vrindavan. 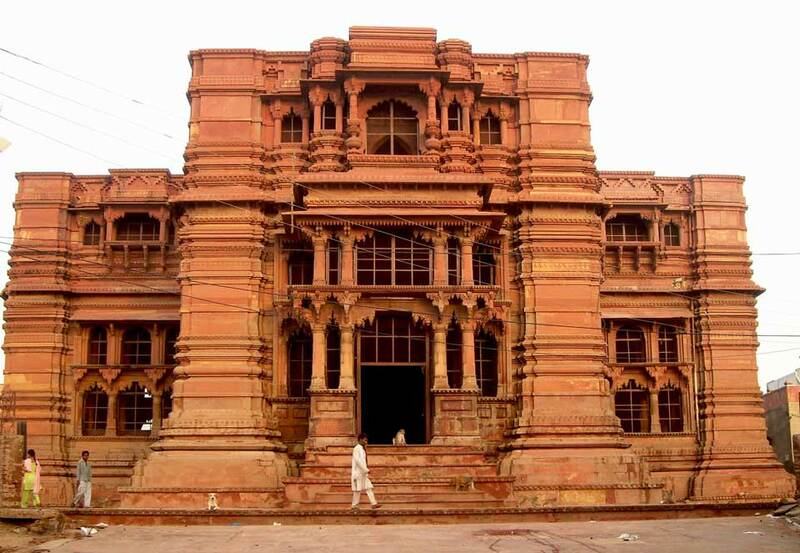 One of his disciples Raja Man Singh built the beautiful Radha Govindadevji temple. Raghunath Bhatt Goswami offered a beautiful flute and shark shaped earrings to Govindadevji. He built one of the most magnificent temples in Vrindavan but personally slept under a tree. He wore simple torn cloth, but ornamented Govindadev with elegant jewels. Srila Prabhupada taught us that the pleasure of the soul is to give pleasure to Krishna. No matter how nice our house is, it will always be a source of anxiety. No matter how much money and effort we put into a place of residence it is never right. It is always a cause of anxiety. No matter how much we decorate these bodies, they will never give any satisfaction to the heart and even if we have beautiful diamonds and rubies and emeralds and gold and silk decorate our body, this body is still going to grow old. Even if we have the nicest oils, our hair is still gong to go grey and white. So Raghunath Bhatt Goswami is teaching us the secret of happiness – make Krishna happy. Bhakti is the art of giving pleasure to Krishna.When we water the root of the tree then every part of the tree is nourished. When we supply food to the stomach every part of the body is satisfied. Once while Lord Caitanya was in the Tota Gopinath temple in Jagannathpuri, He told Gadadhar Pandit,“For many days I have not heard about Rupa Goswami.” Just at that time, a messenger from Rupa Goswami brought a message to Lord Caitanya informing Him about Govindadevji’s installation. Lord Caitanya was very happy and He informed all the devotees about this. Lord asked Kasisvara Pandit to go to Vrindavan and assist Rupa Goswami in serving Govindadevji. Seeing the feelings of separation of Kasisvara Pandit Lord Caitanya gave a deity and told him to worship that deity with Govindadevji. The name of that deity was Gaur-Govinda. The son of King Prataparudra, King Purusottama Jana, wanted to establish the deities of Radharani besides Madan Mohan and Govindadev. With great effort he made 2 beautiful deities of Srimati Radharani and sent them in an entourage to Vrindavan. Everyone in Vrindavan was excited and they were making grand arrangements for the installation. When the 2 deities of Radharani arrived, the pujari of Madan Mohan temple had a dream, in which Srimati Radharani appeared to him and said, “Actually everyone is thinking that both these deities are me, but the truth is one of them is my deity and the other is Lalita Sakhi. One should be installed on the right side and other on the left side of Madan Mohan.” Thus both the deities were installed as per Srimati Radharani’s instruction. Meanwhile Pursottama Jana was very happy but he wanted Radharani to be with Govindadev as well. Some time passed in prayer and he had a dream. 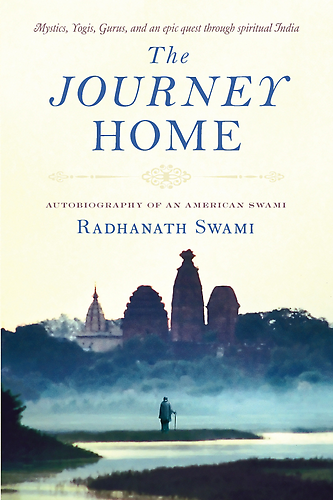 Srimati Radharani appeared to him and told him that sometime back in the land of Orissa in a village by the name Radhanagara, there lived a great devotee named Brhadbhanu. He had a deity of Radharani whom he loved & served like his own daughter. He had no children and after his death the deity was left alone. At that time the King of Orissa came to that village and brought that deity to Puri. Over the years people forgot that she was Sri Radha and began serving her like Srimati Lakshmidevi. So Srimati Radharani asked Purusottama Jana to take her from Puri and bring her to Vrindavan and install her next to Govindadevji. So he sent the deity in a beautiful procession to Vrindavan and Srimati Radharani was installed on the left hand side of Govindadev.